Did you know that in Italy, lentils are eaten at New Year’s for good luck and are thought of as a symbol prosperity? I can see why – these little guys have quite an impressive resume: great source of veggie protein, great source of fiber, mineral-rich, etc. Because lentils are high in insoluble fiber they help stabilize your blood sugar and give you a nice, long, sustained amount of energy. That fiber also helps with digestion and keeps everything “moving” (great for escorting out all the cookies you went overboard with over the holidays, no?). They Keep Your Brain Focused. Lentils are an awesome source of iron (remember to eat them during week 1, ladies!). Studies have shown that even mild iron deficiencies can affect learning, memory, and attention so eating lentils and other iron-rich foods like greens, fish, and meat can help keep you on the ball. Perhaps that’s why the I-talians think of them as a sign of prosperity — with food upping your energy and focus, you’ll be more productive. If you’re productive, you make more money! Chop carrot, celery, and onion. Heat large skillet with olive oil, add chopped veggies and cook until soft, about 5 minutes, stirring every 30 seconds or so. Meanwhile, drain and rinse lentils. When veggies are soft, add tomato sauce and sage (torn up into small pieces). Cook for about 5 minutes. Add lentils and stir to heat through. Serve alone or in a wrap with greens. Serve over a bed of salad greens. 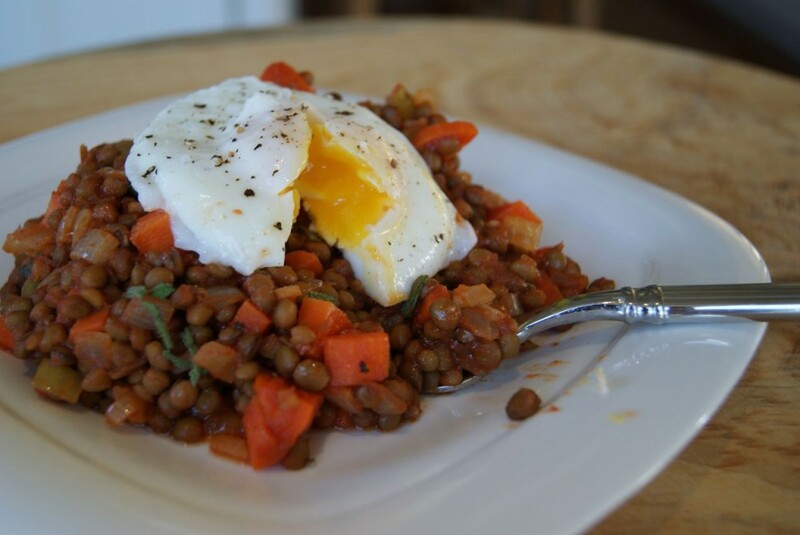 For extra protein, top with a poached egg (see photo below). Soooo good. If you have leftovers (I never do, they are too good), add to a pan with a wee bit of veggie or chicken broth to make it a lentil soup. Buon appetito and buona fortuna! Great recipe ! 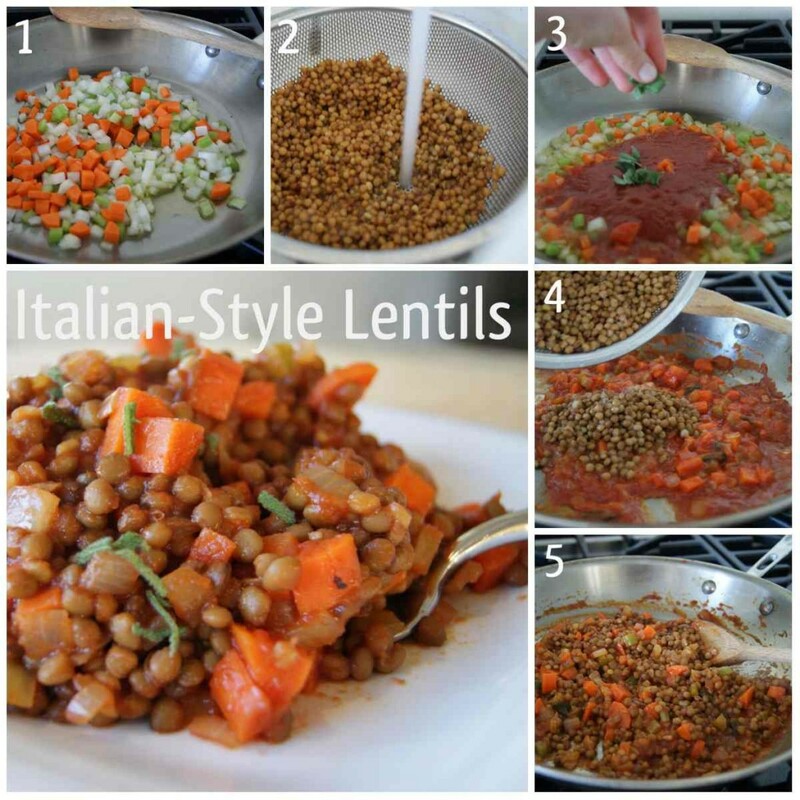 I was looking for lentil reciped ideas, this is perfect timing. 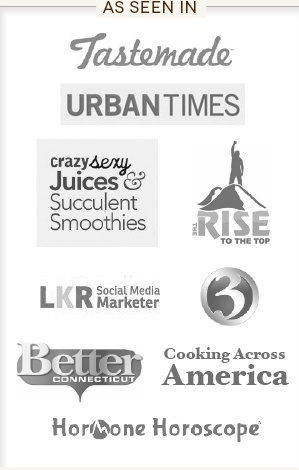 I’ll personally use dried organic lentils, as they are so much better for your health than canned ones. Glad you enjoyed it Luce! I agree – dried lentils are superior but due to my impatient nature I go for the highest quality canned stuff I can find – dried lentils sit in my pantry for years with the best intentions but never make it to the pot! Hooray for lentils! I have been eating them pretty much everyday since New Year’s Eve. Each New Year’s I make really rich lentils with salt pork, cotechino sausage, celery, onion, carrot, and lots and lots of wine. It is so rich and naughty I can only have them once a year. After New Year’s I’ve have been eating vegetarian lentils topped with heirloom tomatoes and lots of greens. I can’t wait to try your recipe. Focus and prosperity! So I made these tonight, in a similar way but I started with dry lentils. Used Italian style diced tomatoes, and because I’m not vegan I added a sprinkle of Italian style shredded cheese to the top. Soooo yum for my meatless Monday. Thanks Heather! Awesome Meghan – can’t say no to a little cheese!